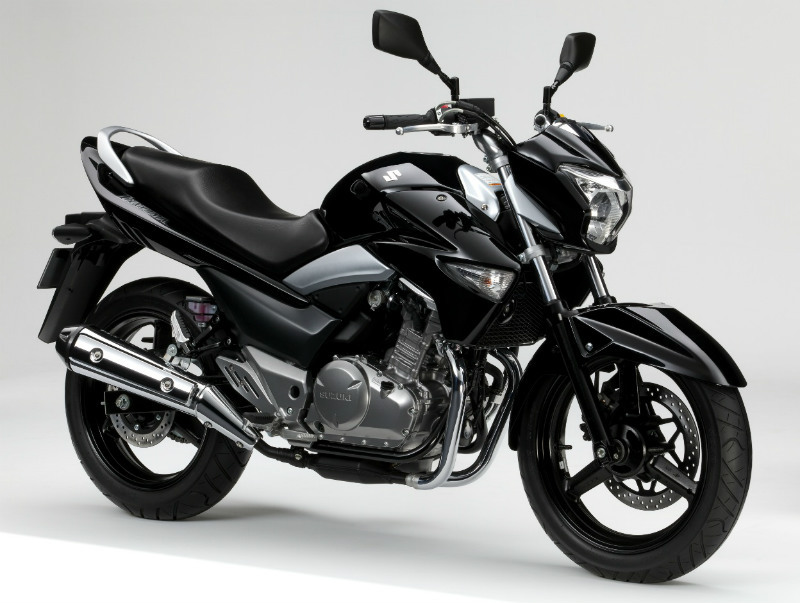 Set to arrive in dealer showrooms in September, the all-new Inazuma 250 will have a recommended on-the-road price of just £3,499, and with Suzuki’s two year warranty and one year roadside assistance too, it offers exceptional value for money for a machine of its capacity and quality. First unveiled at Motorcycle Live last year, the Inazuma 250 offers a viable alternative to commuting by car or 125cc machine, comfortably reaching and maintaining motorway speeds with ease, the Inazuma also boasts a fuel consumption figure of 85.87 mpg*, meaning more than 9 extra miles from every gallon compared to the current 250cc class leader. Available in Pearl Nebular Black and Candy Cardinal Red, the new Inazuma is expected to arrive in dealer’s showrooms in the second half of September. For more information please visit www.suzuki-gb.co.uk or contact your local authorised Suzuki dealer. *Data resulting from tests made by Suzuki in compliance with WMTC. These tests were conducted by a single pilot with no additional optional equipment. Fuel consumption may vary depending on your riding style, how you maintain your vehicle, weather, road conditions, tyre pressure, the presence of accessories, the load, the weight of the crew and many other parameters.